Properties in Sobrarbe average 4.6 out of 5 stars. MERY overboard. Pyrenees. 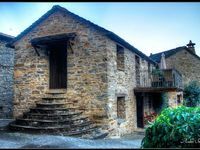 In Charo, 15 minutes from Ainsa. Pets. Property 9: MERY overboard. Pyrenees. 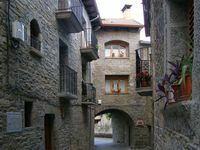 In Charo, 15 minutes from Ainsa. Pets. Stay "Montañesa. Rural house "Judge House"
Property 28: Stay "Montañesa. Rural house "Judge House"
Estancia "Nabaín" Rural face "House Judge"
Property 30: Estancia "Nabaín" Rural face "House Judge"
We stayed for only four days in this charming little stone house. The quietness and simplicity of the small village and exploring around the lakes was very relaxing. There are many lovely walks nearby and the proximity to Ainsa for grocery shopping was a bonus. Our two dogs also enjoyed themselves immensely. We all hope to return one day. Awesome, beautiful location. Very kind people.